The CATS are AWAY, so the MICE will Play! Bobbi and Charla are at Quilt Market so we are STUCK here to take care of the shop. Now, this is a SECRET! We are having a mostly Blue Fabric Sale. Why blue? Well, we are all BLUE because we were not able to go to Quilt Market too. So, all fabric that is MOSTLY blue is 20% off from today, May 13, 2015 until Saturday, May 16th. 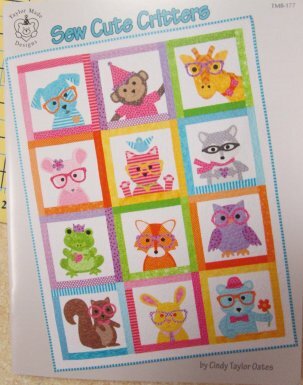 I can't wait until they are back so we can see all the fun fabric and new quilty things they find. Are your scissors dull? Bring them in from today until Saturday and we will sharpen them for free. While you look at all the gorgeous fabric, of course! 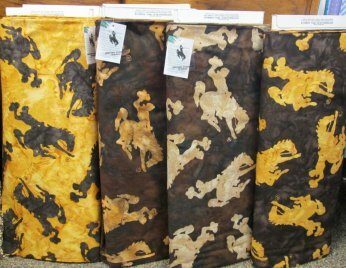 The Cowboy Fabric is back and in stock. The colors are even better than before! KT Barn Raising- A Layer Cake, A Charm Pack and 2 Fabrics and you can make this gorgeous quilt! Several different layout options to choose from. 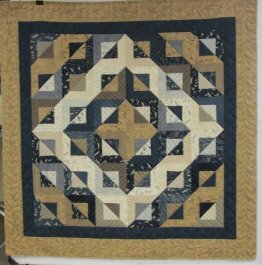 Cindy Taylor Oates has designed a beautiful quilt using applique. There are several other projects that she has included in her book so you can make all sorts of beautiful items using the same blocks.